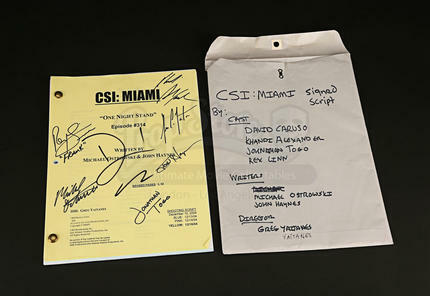 A cast signed script from the crime TV series CSI: Miami. The show follows the work of a Miami crime lab as they try to solve cases using the barest of forensic evidence. 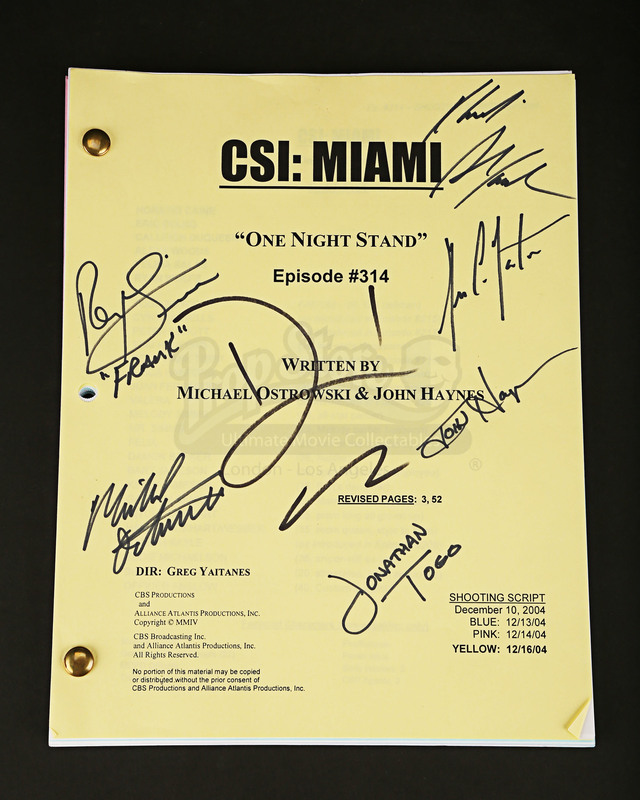 This script is of episode number 314 entitled ‘One Night Stand,’ written by Michael Ostrowski and John Haynes. The script has been signed by 4 cast members; David Caruso who plays Horatio Craine, Khandi Alexander who plays Alexx Woods, Jonathan Togo who plays Ryan Wolfe and Rex Linn who plays Frank Tripp. 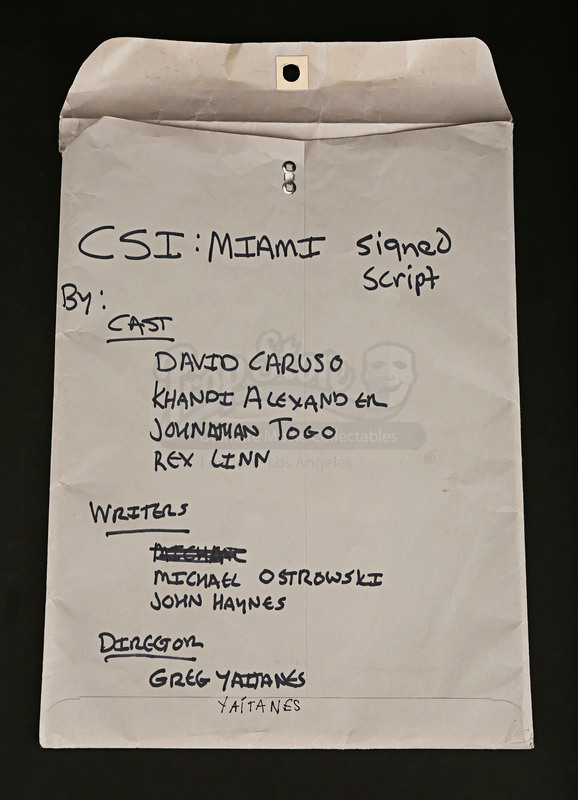 It has also been signed by the two writers and the director Greg Yaitanes. 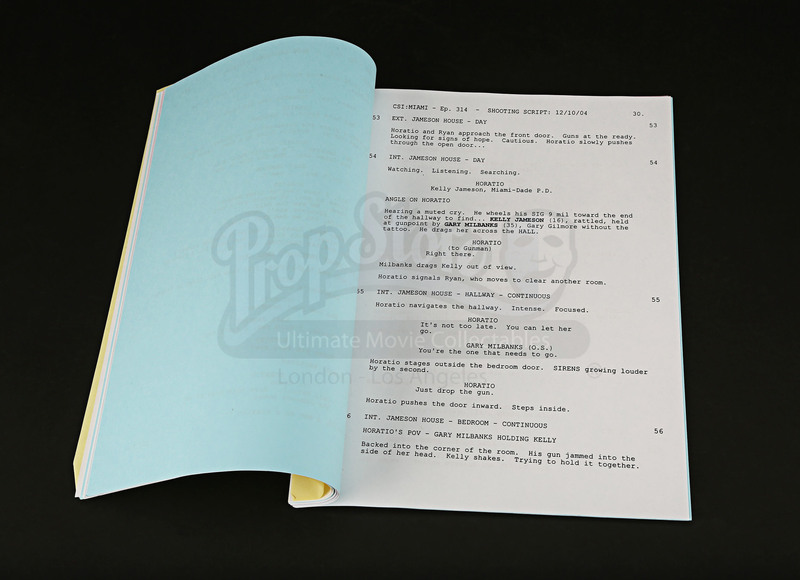 The script is unannotated and features the full episode. It is hole punched and bound with brass fasteners and printed on US letter-sized paper. 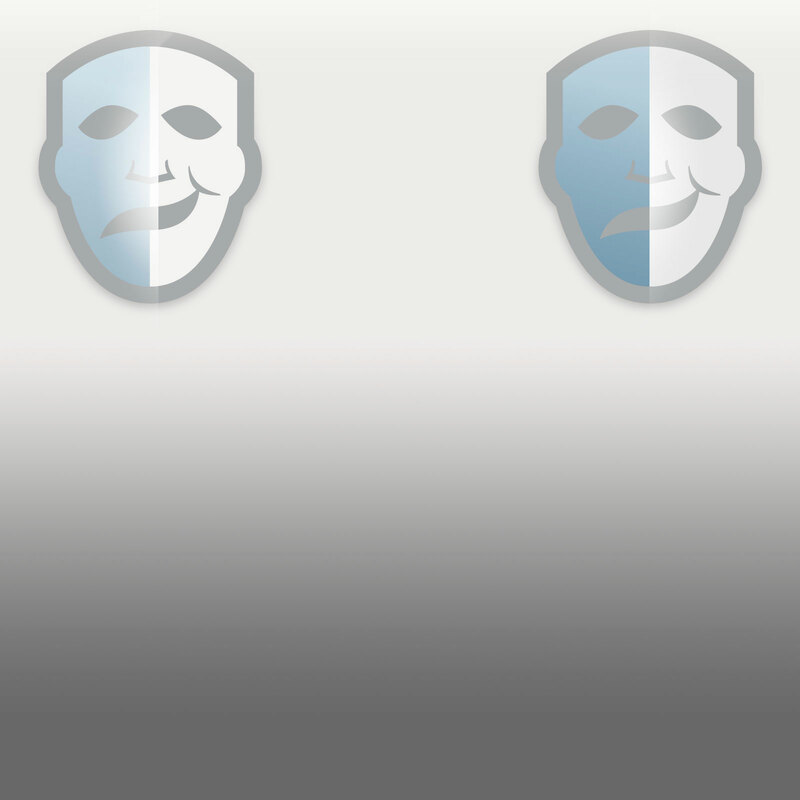 On the front it states that pages 3 and 52 are revised pages, and there is a colour code indicating the shooting schedule for the different colour pages. There is also a full cast and set list. 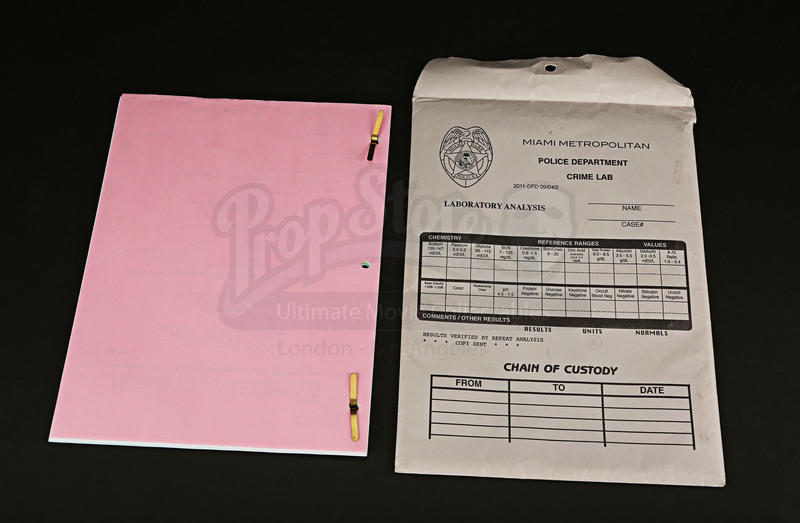 The script comes in a Miami Metropolitan Police Department crime lab folder that would be seen in the film. It remains in excellent condition.